This "Lightning Bolt" patch was made for use in the 1984 motion picture, "The Natural," starring Glenn Close, Kim Basinger, and Wilford Brimley. 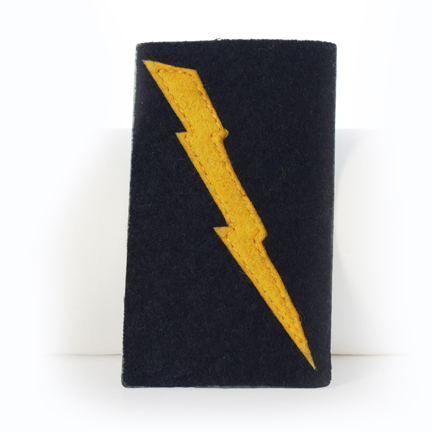 The patch was custom made for the film and is constructed of navy felt with yellow felt lightning bolt. 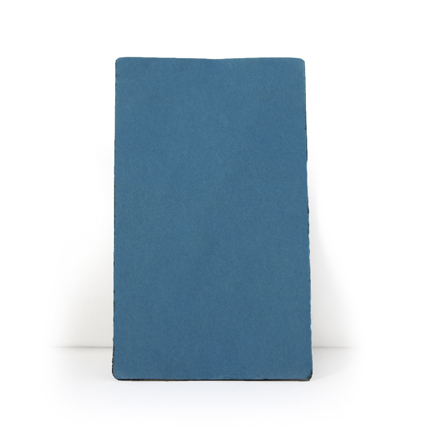 The back of the patch has a double-sided adhesive strip attached to allow for removal and reapplication when jerseys would be cleaned during filming of the production. 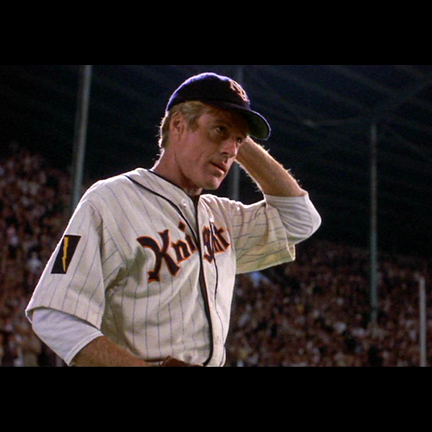 The patch is one of a limited number that were intended for use by Robert Redford or other members of the fictitious "N.Y. Knights" baseball team featured in the film. 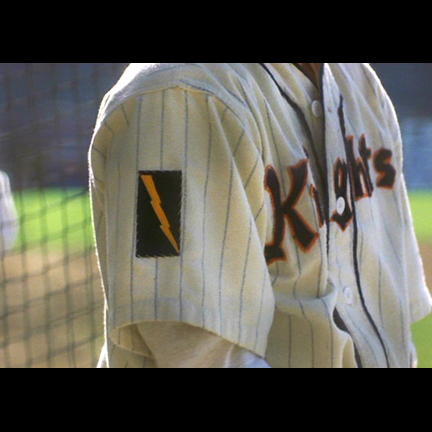 Mr. Redford and other members of the Knights appeared wearing this type of patch on the shoulders of their baseball jersey in numerous scenes throughout the movie. Redford's patch is featured in various promotional images and on the covers of both the DVD and BluRay releases of the film. 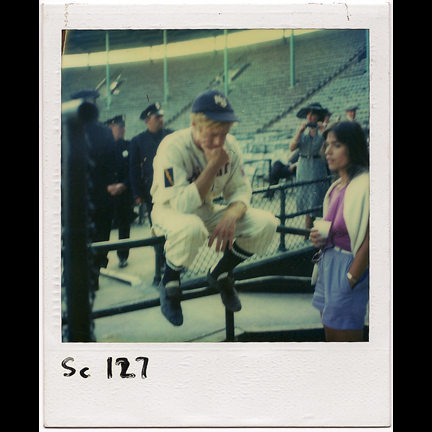 The "lightning" theme was integral to the movie's plot, and Redford's character is referred to as Roy "Lightning" Hobbs several times by other characters. Hobbs' signature bat "Wonderboy" was carved from a tree struck by lightning and was decorated with a similar bolt logo. 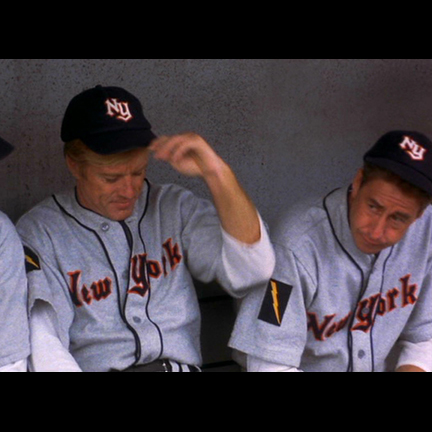 The same style lightning bolt patches were also worn by his fellow teammates in honor of Hobbs and as good luck charms to lead them to the World Series. 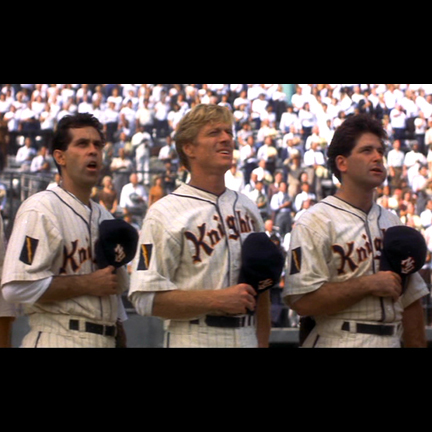 This patch is an iconic signature piece from "The Natural," which many fans consider one of the finest baseball films ever made. The film was nominated for four Academy Awards, including Best Supporting Actress (Glenn Close), and nominated for a Golden Globe Award for Best Supporting Actress (Kim Basinger). The patch is in very good unused condition and is accompanied by a letter of authenticity from the film's costume supervisor. Presented by The Golden Closet, your premier source for iconic screen used movie wardrobe, props, and music entertainment memorabilia.